I saw an ad online recently for a crystal antidepressant necklace. It was basically a crystal point hung from a chain. The crystal was pink in color, which meant it was either rose quartz or pretending to be. When I looked at the website, there were other colors available, such as clear (quartz), turquoise (turquoise), purple (amethyst), and black (maybe onyx?). Of course, there was always the possibility that these were not naturally occurring colors and that every crystal was plain quartz died some other hue. The turquoise certainly looked dyed to enhance its turquoise-ness, and isn’t a crystal anyway. I also had my doubts about the black one. In point of fact, I had my doubts about all of them. Not that they weren’t authentic crystals, but that they would work. I’ll be honest here. I don’t believe in crystals as channels of psychic power or healing or whatever. I think they’re beautiful and make great jewelry, though. I have quite a collection of necklaces and earrings made from semi-precious stones, some of which are crystals. I feel better when I wear them, but that’s because I actually have taken the time to accessorize before I go out. I think that, if crystals have any effect at all, it is the placebo effect, which I’m not discounting. That at least is a real thing. But the ad for the depression crystals got me thinking. If the 12 or so widely varied stones that were featured in the ad are all good for depression, what’s the point? I thought at least specific crystals were supposed to be good for different things. I’ll admit right off that I don’t know what “a path to your vibrationally highest self” means, but then again, turquoise is not one of my favorite stones. I have worn rose quartz, amethyst, and occasionally onyx, but felt nothing in particular regarding my emotions, confidence, or sleep (though, to be fair, I never have worn amethysts to bed). Amethysts for relief of addictions most likely goes back to medieval days, when they were thought to counteract poisons. Then I checked another site, which connected assorted crystals and stones specifically with mental health issues. Here the results were more specific and more focused. Rose quartz was again associated with emotional turmoil, which is pretty close to releasing toxic emotions. Blue lace agate, a very pretty stone, was associated with journaling, which was both different and interesting. Even more interesting to me were the purported beneficial effects of amber, unakite, tiger’s eye, and smoky quartz. According to this website, amber, perhaps my favorite semiprecious gem (though not technically a crystal), is particularly effective for seasonal affective disorder (SAD). Unakite, a little-known stone that mixes gray-green and dusky pink colors, is said to be beneficial for anxiety and negative thoughts, both of which I, of course, have in abundance. Smoky quartz appears to be the recommended crystal for depression and tiger eye for mood swings. Both should therefore help with my bipolar disorder. (I don’t remember whether smoky quartz was among the crystals and stones offered in the antidepression crystal ad, but according to this website, it should have been.) I used to wear a ring of tiger’s eye, but it did nothing to ward off bipolar. I can’t see any scientific basis for crystals having any sort of effect on a person’s emotional states. But I suppose that if these stones bring you some solace or seem to encourage your healing, I shouldn’t put them (or you) down. I don’t happen to believe in their alleged powers myself, but I also know that affirmations, CBT, and positive thinking don’t work for me, as far as my mental health goes, while they do work for other people. But I do think it is disingenuous at best and fraudulent at worst for that particular website to advertise that these varied stones and crystals all have antidepressant effects. Even those who believe in the power of crystals believe that different ones have different effects. Personally, I think that a black crystal would do more to reinforce depression than to ward it off. I know someone will tell me if they think I’m wrong. Self-medicating – using alcohol or drugs to dull the emotional pain of a mood disorder – is pretty common among people with bipolar and other mental disorders, particularly the undiagnosed. It’s a dangerous thing to do. People with major depression are said to be twice as likely to develop a drinking problem if they self-medicate with alcohol a lot. Then there’s the possible interaction between alcohol or drugs with a person’s prescribed meds. To be perfectly honest, there were times in my life when I self-medicated with wine, beer, or liquor. During one particularly dark time, when I had been prescribed benzos for a physical ailment, that was thrown into the mix. And, again with the honesty, I still sometimes have wine or beer with dinner, though I know I shouldn’t. I could say that I know how much I can drink without it affecting my reaction to my meds, but the fact is that I just shouldn’t. 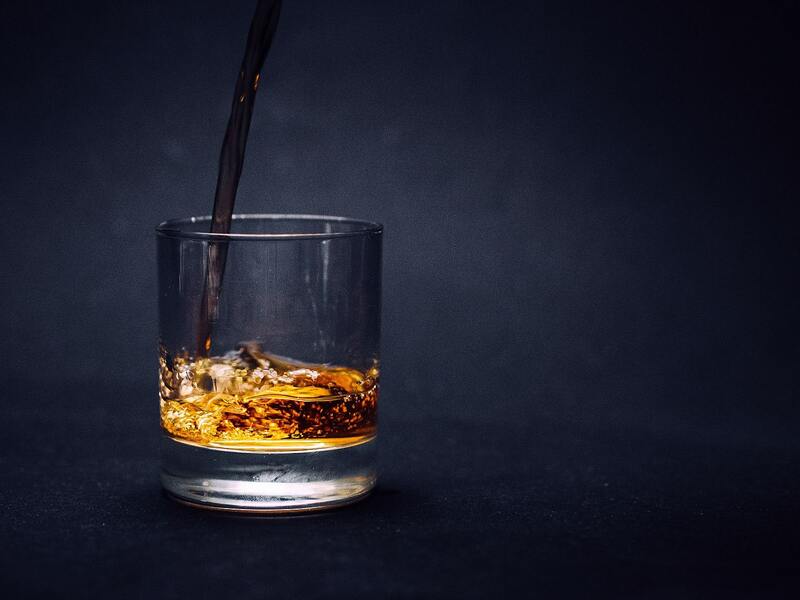 Recently, however, a study was published in the journal Nature Communications which said that “getting drunk causes the same molecular changes in the brain as taking rapid antidepressants.” Here are the basics. It was a study done on mice, which means it’s a long way yet from applying to human beings. The set-up was this: Mice were given alcohol, then placed in a container of water. Being passive and willing to drown was taken as an indication that the hapless creature was depressed. Sure enough, the mice that were given alcohol proved to be more active and energetic in trying to swim, which was taken as a sign of not being depressed. The study did not end happily for any of the mice, however. Their brains were examined to determine how the alcohol achieved its antidepressant effects. The scientists say that changes in the boozy mouse brains showed that alcohol has effects on neurotransmitters that were similar to the way antidepressants affect the brain. That’s a long way from saying that alcohol is good for the depressed, though. The premise of the experiment sounds a little shaky to me. I mean, assuming the swimming mice to be less depressed than the drowning mice strikes me as just a wee bit anthropomorphic. Plus, the mice seem to have been situationally depressed (by being left to drown), rather than chronically, as in clinical depression. However, the brain study seems more interesting to me. After all, it compared the effects of alcohol directly with the effects that antidepressants have on neurotransmitters and said that the former “mimicked” the latter. What’s the takeaway from all this? Well, first of all, it’s hardly blanket permission for the depressed to go out and indulge indiscriminately. Further experiments are needed, presumably ones that will work their way up the animal kingdom until they come to depressed humans, though one hopes that they are not thrown into water to sink or swim. If those further studies go the same way as the mouse study, I rather imagine the result will be something like the medical advice that you can take a glass of red wine to stave off heart disease – not a blanket approval, but the use of a potentially hazardous thing to ward off a potentially worse thing. Of course, that will not apply to alcoholics or others who must avoid the substance altogether for any of a variety of reasons. I also note that the study focused on the effects of alcohol in relation to depression only. The manic phase of bipolar disorder was not part of the study and drinking while manic is well known to be a really bad, though often occurring, thing. Of course the same can be said of drinking and depression. For now, the best advice is simply not to drink if you are depressed or bipolar. Don’t use me as an example. I’m not sharing this to encourage anyone to indulge in potentially destructive, even lethal, behavior. As always, Your Mileage May Vary, especially when compared with that of drunken, depressed, or dead mice. But drinking is still far from a good idea for the bipolar. And don’t mix it with benzos either. Trust me on this. It’s a slippery slope.